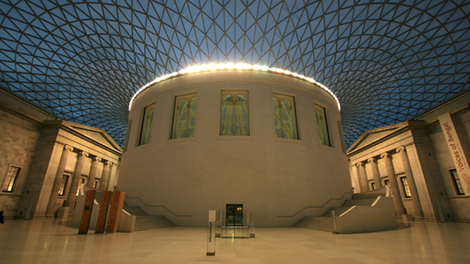 As the most-visited tourist attraction in the country, The British Museum is a wonderful, iconic location for filming opportunities. Situated in the heart of Bloomsbury, its renowned spaces such as The Great Court and the Parthenon Galleries have been front and centre of the dedicated feature, Night at the Museum: Secret of the Tomb. DC cinematic universe films Wonder Woman and Justice League also feature our Assyria galleries and famed colonnade respectively. TV productions including period drama Howard’s End and, more contemporaneously, McMafia and The Detectorists have also utilised the Museum. Apart from our most visually distinct spaces and galleries, in our back of house spaces is an ideal variety of spaces that include our study rooms, vintage library and archive spaces, eerie basement corridors, antique staircases, neutral, Victorian townhouse-style rooms, as well as some modern office and conferencing spaces.